JOBS JOBS JOBS! ATTEND THIS PREMIER REGIONAL HIRING EVENT! 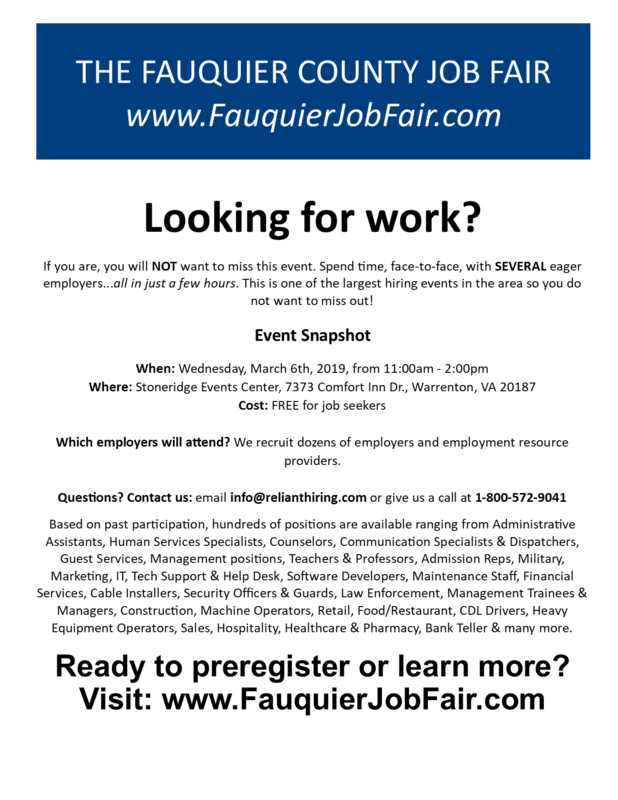 If you wish to attend, please preregister at www.FauquierJobFair.com --- PREREGISTER via this link to be entered in to a GIVEAWAY FOR A $500 GIFT CARD!